There was a fascinating interview about the Kirtland Temple over at Mormon Expression. It was so interesting that I decided to transcribe it here. John Larsen interviews historian John Hamer, and Barbara Walden, former Executive Director of the Kirtland Temple. Both Barbara and John Hamer give some really cool information about the Kirtland Temple, and I wanted to share this with you all. BW, “I’d be happy to. 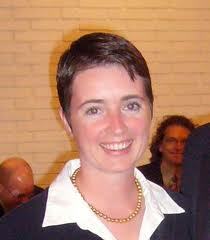 I’m currently the Executive Director of the Community of Christ Historic Sites Foundation. We’re a foundation that supports preservation and maintenance of all Community of Christ historic sites. There is 7 total scattered throughout the Midwest, from Jospeh Smith III’s Liberty Hall to Joseph and Emma Smith’s Mansion House and homestead, and the Kirtland Temple. The Kirtland Temple just happens to be one of my favorite sites. JH, “Obviously there is the concept of multiple temples, because really the commandment is happening almost simultaneously to build in Independence, but that temple of course doesn’t get off the ground because of the saints getting driven out in Jackson County. But in terms of New York, I’m not aware of a temple even breaking ground or anything like that. I’ve never heard that. If Wilfred Wood found something, that would be interesting. BW, “I would say that in December of 1832 there was a revelation to build a school for the church’s ministers. In combination you had an impoverished community living there in Kirtland who desperately needed a meetinghouse. So that original revelation was about building a place where it would be a house of education or a house of learning, if you will. By 1833, they began breaking ground for a house of the Lord. Where the Kirtland Temple is located, I really encourage you to visit the site, right behind where the Kirtland Temple stands today, the early latter-day saints built a schoolhouse/print shop. It was a two story building where the first floor, they used as a schoolhouse, and the second floor was a print shop where they printed their first church hymnal, they printed there Doctrine and Covenants in 1835, and the second edition to the Book of Mormon in 1837. So they used that as a meetinghouse while they constructed the house of the Lord, what we would know today as the Kirtland Temple. That really all begins in 1833. They finally dedicate a temple by 1836. BW, “Well, it’s a three story building. It’s a mixture of Gothic revival and federal style of architecture, a little bit of Georgian architecture. I once had an architect on tour who said, ‘My this is a hodge podge of architectural styles.’ It really is. I think in many ways it is a metaphor for the latter-day saint community itself, which was a hodge podge of believers there in Kirtland. As I mentioned before, it was a 13,000 square foot building. One of the unique aspects architecturally of the building are the upper and lower court: two large rooms in the temple, which are about 55 x 65 feet that are stacked one on top of the other. Most houses of worship at the time would have a first floor sanctuary and a balcony that would house worshipers to look over into the sanctuary. But in Kirtland, the revelation that Joseph Smith shared with the faith community was that two areas, an upper court and a lower court. That lower court would be devoted to worship, while the upper court was more or less that house of learning that was devoted to education. There was accounts of 900-1000 people literally packing in to the lower court for the dedication service. It was an enormous sanctuary. Your average Methodist meetinghouse at this time could fit inside the lower court alone. In fact you could turn it sideways, your average Methodist meetinghouse, and it would still fit inside the lower court. So the temple was wider than most houses of worship at this time were long. It’s just an enormous building. So on that first floor, you have tiered pulpits. There are about 18 pulpits total there on the lower court, a set of nine on the east side of the room, and a set of nine on the west side of the room and they represented the Aaronic Priesthood who were assigned to sit on the east side of the room, while the Melchizedek priesthood would set on the west side of the room. These pulpits, I think for many people are the elements (the material culture of the temple) that really stand out. It’s certainly a unique part of the temple. While in the upper court you had decks versus pew boxes, and the idea of the upper court was that’s where the school of the Apostles would take place. It’s where they would train missionaries who would launch out of Kirtland and carry the gospel throughout the world. JH, “One thing on the size that I ought to mention, maybe some of the listeners haven’t been to the temple but they see–I don’t know if you have these, but books of remembrance or whatever, a sheet that has all these pictures of the temples, maybe the first picture will be of the Kirtland Temple and it looks like a really little building compared to some of the later temples because it looks kind of like a New England church, a little New England church–it looks like a little two-story building. But it’s deceiving when you just see a picture of it. It’s kind of built like a little building architecturally, but it’s blown up, it’s scaled up. If you actually see a cross-section of it, next to the Nauvoo Temple, you realize that this building is actually a lot bigger than it kind of looks. If you see an early picture of it next to–there used to be (when it was built) a Methodist meetinghouse that was next door to it. When you see a little two-story church next to this building you see how much bigger than just a little building that it is than it is. BW, “I think often times the Kirtland Temple is a symbol of the ultimate sacrifices of the early latter-day saints. I had mentioned there was a gentleman observing the latter-day saints in 1836 as they were getting ready to dedicate the temple, and he has this incredible quote, his name is Truman Coe, and he was a minister from another church living there in Kirtland, and he was just fascinated with the latter-day saints. He said that the women especially were giving up even the necessaries of life to build the temple. He said they were living in hubbles and shanties. Few of their home were fit for human habitation, and yet they’re constructing this incredible house of worship. Barbara Walden, “That’s right. It was intended to be the center of community life. As I mentioned, they had a high school that met up on the third floor. There are great accounts of them inviting ministers of other churches to use the pulpits to preach. On one account of a Unitarian minister, taking advantage of that and preaching from the pulpit. I think it was a hope for the Latter-day Saints that if we invite you into our house of worship to allow you to preach, perhaps you too would allow us into your house of worship to preach as well. It’s almost the beginning of some ecumenical work there in Kirtland. They were also giving tours of the temple, I should point that out. Joseph Smith Sr, was a pretty good guide. Warren Parrish was another tour guide at the Kirtland Temple. So they’re recognizing that the building is kind of a curiosity if you will, and people were dying to get inside to take a look. So there is evidence that they were charging admission for the tours, and one of the highlights of the tours–for one man he paid to go back a second time–was to see the mummies that were on exhibit on the third floor. John Larsen: “Later those were in somebody’s basement, but they were at the Kirtland Temple, right? JH, “But not in the 1830’s time. But that even shows that the Nauvoo Temple also has different uses and a different feeling for people in Nauvoo in the 1840’s than what LDS people are used to with the temples today. So the Nauvoo Temple, when it’s built, it’s built in a way that’s based on the Kirtland model. So again, the major portions of space in Nauvoo are these upper and lower courts. The interiors are designed to look like the interiors of the Kirtland temple with these multiple sets of pulpits, and ultimately, some of the LDS temples: The Salt Lake Temple, the Washington DC Temple, some of the other temples have preserved a court that have these pulpit systems inside them, but this is the major portion of space in the first two temples. And unlike in Kirtland, in Nauvoo now there starts to be this new kind of temple worship that gets added into it. But for the Nauvoo temple, it’s reserved essentially for the basement and the attic space, so in the basement is now the baptismal font for baptisms for the dead. There is no font at all in Kirtland–that’s not part of temple worship in the Kirtland period. And the same thing, this idea of the ritual endowment is very different from the Kirtland endowment. The Nauvoo endowment which is relegated to the attic, the third floor, under the roofspace in the Nauvoo Temple. Later, in LDS practice the central spaces of the temple get eliminated and essentially the attic and the basement spaces become the temple. JH, “That’s exactly right, so neither of those practices exist in Kirtland when they build the temple, and they wouldn’t be associated with temple worship for the earliest saints. So in fact they talk about a great endowment coming upon the saints when they complete the Kirtland Temple. It is a promise that happens, and then it happens in the course of the dedication, but this kind of temple endowment is not a ceremony. It’s not a ritual or a mystery or a secret. It’s essentially an outpouring of spirit. It’s a promise that a gift will happen. The original idea is that you will be endowed with a gift is the original meaning of that. When we speak of a Kirtland endowment, it’s a very different thing from the Nauvoo endowment. JH, “Well I would say that it would have to be way looser than at later times, because it becomes a system, and it becomes a tradition, and it becomes a process. Initially, it’s something that they are still feeling out, ‘how are we going to’–they want to restore all things. One of the kinds of sacraments that you can maybe assume from reading the New Testament in addition to the sacraments of the Lord’s supper or Communion–that’s one of the things that Jesus does in one of the other gospels–instead of having a supper, he washes the disciples’ feet. So feet washing becomes something that the saints also want to restore, so that is something that is restored in Kirtland. JL, “Fair enough. Now we talk about the pulpits, the 18 pulpits that were on either side, and I think John you mentioned actually that’s still a central architectural element of the Salt Lake Temple, and I encourage anybody who is on Temple Square to go see that new model of that temple that they’ve built there. You can really get a feel for how important that grand hall, or whatever it is, inside the Salt Lake Temple. BW, “Well if you can imagine sitting in a sanctuary that has boxed in pews where during some of these Sunday worship services you could have anywhere from 500-1000 people meeting in the lower court and the early Latter-day Saint community encouraged people to participate in the worship services. They believed in services being led by the spirit. If you had 500 people all in one room wanting to share a prayer or a testimony, you can imagine how long some of these services would be. They installed veils, or what we would consider curtains, that hung from the lower court ceiling and the plan was to have those same curtains or veils hanging from the upper court ceiling as well. These heavy canvas curtains–one visitor described them as the sails of a ship that were painted heavenly white on both sides. You had a curtain rod that was installed at the base of a curtain that would roll up with the curtain. So above your head, you could have a big, bulky curtain, or they could lower those curtains to divide the room into quarters: a set of curtains going right through the center of the room, and then another set of curtains dissecting that in half. During Wednesday Prayer and Testimony meetings, which Joseph Smith Senior, the Patriarch of the Church would preside over these services, he would send a priesthood member to every corner of the lower court to lead, more or less, their own prayer and testimony meeting. And that would allow more people to participate in worship. You also had the same heavy, canvas curtain hanging above the pulpit on both sides of the room. And these curtains could be lowered through cranks that were located at each level of the pulpit. So priesthood members could raise and lower the curtains as they wished, just like members out in the pew boxes could. But these curtains would come down and divide off each level of the pulpit to give privacy to each level of the priesthood. There are a number of accounts of private meetings taking place in the pulpits, of people kneeling down for prayer. I think one of the most well-known, or famous accounts comes right after the dedication when Oliver Cowdery and Joseph Smith kneel down for a time of private prayer. As they begin to rise from prayer, they see the Lord standing upon the breastwork of the pulpit before them–a remarkable account that was recorded in Joseph Smith Jr’s journal. For many of our visitors, it is the sole reason they come to the Kirtland Temple–to see the pulpits where that event took place. JL, “Yeah, in the Salt Lake Doctrine and Covenants, that’s section 110 I believe, where they saw Moses, Elias, and Elijah right there on the pulpit. JL, “I think this is another one of those points of confusion, like the word ‘endowment’. They talk about the veil in the Kirtland Temple, but it was more of a room divider than it served as the veil in say the Salt Lake Temple. BW, “It’s really a fascinating story. You have in 1838 while the saints are still headquartered there in Kirtland, over 2000 members living in Kirtland. But in 1839, considering the troubles they are having with the bank, and the debt, and the pressure from old members, or former members of the church and those who were living around the community. By 1839, there were only 100 Latter-day saints remaining in Kirtland. You can imagine just the sacrifice to build the temple–maintaining a 13,000 square foot building is not an easy job for 100 people. Heating it alone was very difficult. So in August of 1838, there is evidence that they begin renting the second and third floors of the temple to the Western Reserve Teacher’s Seminary. It was a place to train teachers. They used the second floor for training. You more or less graduated from the second floor to the third floor where these new teachers were practicing their teaching techniques on local students. So it’s neat to see that the temple continued to be used as a ‘house of learning’, even after many of the saints had left. Those 100 that remained behind, continued to try to care and maintain the temple. Martin Harris was one who stuck around there in Kirtland. By the 1840’s, there’s evidence that the membership grew to about 500 by 1842. But by 1844 when Joseph Smith and Hyrum were killed in Carthage, the membership of the church was back down to a hundred. Then it appeared from 1844 to the 1860’s, whatever latter-day saint group had keys to the temple was using the temple. After Joseph was killed, a number of people in church leadership contended for leadership of the church and some of these groups returned to Kirtland, remembering that as a significant part of their church experience. Some of them were Zaddock Brook’s Church of Christ, James Colin Brewster’s group was there for a while, even Sidney Rigdon returned to Kirtland in 1846. There is a great account of him preaching from the pulpit to a standing crowd. So from 1844-1860’s, a variety of different latter-day saint groups go in and out of Kirtland, using the temple. Some of those groups leaving, and others arriving, it was a peaceful transition. Other times it was not so peaceful and the sheriff was called in to throw a group out while another group claimed to have ownership. By the 1860’s, there is evidence of a Community of Christ group worshiping in the temple, and by the 1880’s there is a congregation that was established there, and began restoring the temple back to its’ original splendor is what they say. An 1883 conference, the Community of Christ decides that they’re going to invest heavily, financially on restoring the original splendor back to the temple. Some of that was theologically reinforced. They believe that they were the original church, the true church, and they felt that if they were going to worship in the temple, that true church ought to have the temple looking exactly the way it was dedicated in 1836. BW, “Well there are accounts of Brigham Young–or his church, the Twelve–trying to sell the Kirtland Temple, but unfortunately they couldn’t obtain a clear title, and it is difficult to sell a piece of property that you’re not in possession of, or don’t have a clear title to. So they weren’t very successful in trying to sell the temple. JH, “You know, I don’t think there was any attempt from them to get it back. For one thing, for a whole long period of time, all the way up to almost near World War II, not quite that long, but into the 20th century, the LDS church didn’t have a lot of presence outside of the Great Basin in the rest of the U.S. So owning the temple, which is quite a big thing, big building to keep up and everything like that would actually be costly without a lot of point to it for people who aren’t living there. So actually, I don’t think that there was an attempt to get it back in terms of getting other people gathered in. So the guy who goes and gets Martin Harris I think it’s almost a private venture. He’s just met Martin Harris, he isn’t living well and isn’t able to pay his way to Utah and he ends up living with relatives for the rest of his life. But I don’t think in a lot of ways, there isn’t an ability to gather a lot of the Midwestern saints because the people in the Midwest, the people who have stayed there are so opposed to polygamy, and so this has been an irreconcilable point of difference in the 19th century between the Midwestern and the western Mormons. JH, “That was from both sides. There’s this moment when Joseph F. Smith is the president of the LDS church, and his first cousin, Joseph Smith III is the president of the RLDS church, and they do not get along well. When Joseph III had earlier gone out to Utah to preach to dissenting Mormons there, he didn’t feel that he was well-treated, and that Joseph F. Smith (he felt) was assigned to kind of dog him around and preach against him, and specifically also to preach against his mother. So lots of things were said about Emma being a terrible woman and a liar and all kinds of things like that, and that made it even a personal, family relationship. But in this case it was a personal family where the family members, the cousins, are in fact the presidents of the two churches, and so it’s kind of a family feud that is also a church feud, and there were a lot of hurt feelings at the time. BW, “Well in the 1880’s there was a great effort in restoring the temple, as well as preserving it–a great maintenance effort took place by the community of Christ, at the time known as the Reorganized Church of Jesus Christ of Latter-day Saints. The congregation that began meeting there in the 1880’s continued to use the temple as the house of worship and the place that they gathered weekly until the 1950s. In the 1950’s, they constructed a meeting house or a chapel across the street from the temple and that’s where their regular activities would take place, the Wednesday night services, the potlucks, recreational activities as well as worship activities. In doing that they recognized that the temple was a historic house of worship and should be used on special occasions. The leadership of the church not only for the congregation, but for the world church, the whole community of Christ, strongly encouraged the congregation to move out of the temple. By using it on a regular basis, they were adding to the wear and tear. When they moved out in the 1950s, another wave of restoration efforts took place: to re-stucco the temple, to re-plaster, to better maintain the temple on a long term basis. So that begins in the 1950’s and today the temple is still a very significant house of worship for the Community of Christ, where they hold special worship services. Congregations coming in out of town will reserve the lower court for a special worship service or communion service. In the 1990’s, we also opened up the temple for other latter-day saint groups who were traveling through Kirtland. They would have the opportunity to reserve the temple like we’d allow Community of Christ groups for all these years, then we opened it up to all our latter-day saint cousins. So members of the Church of Jesus Christ of Latter-day Saints often times their leaders will contact the site director there in Kirtland and reserve the lower court for a sacrament meeting. We’ve had a Relief Society worship services take place there, as well as groups that come from the Strangite Church, or the Restoration branches. Even the Remnant Church, which has headquarters in Independence, Missouri, has worshiped there. BW, “I should also add that the community of Kirtland has a great tradition of having an ecumenical Thanksgiving service in the Kirtland Temple every year. It’s the Tuesday before Thanksgiving where the Kirtland Ministerial alliance which is a collection of civic and religious leaders get together. They get together every month, but in November of every year they have an ecumenical worship service where the high school sings from the historic choir loft. The new minister from the Kirtland area preaches from the pulpit. So it’s just a ‘Norman Rockwell’ experience. JH, “Absolutely. I mean there obviously was major changes going throughout the entire early period. So people like David Whitmer, who joined before the Book of Mormon was even published, there was a very different Mormonism that he was attracted to than anybody who would have joined in 1844, where now suddenly the church had grown and changed. All kinds of new things had been restored, and there had been changes in the practices. JH, “Between Kirtland and Nauvoo there is the idea of not just restoring the priesthood, which is the first thing that gets restored, and then restoring the church, but then a later development in Nauvoo is the restoration of the Kingdom. That again is done in a secret way so the kingdom of God on earth is in the secret Council of Fifty. 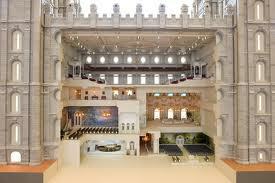 But then this imagery of the restored kingdom appears. So it probably wouldn’t have made a lot of sense in the Kirtland time period to have done something that looks like a castle. But then when you get out to Utah, after you’ve restored the kingdom and you have this major kingdom metaphor going, then the temples have crenelations, they have all these aspects to them that are reminiscent of European castles. 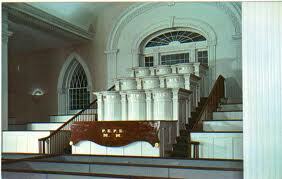 JH, “Yeah, interestingly, the Kirtland Temple has so many things like the pulpits that are different. But then what I love to do when I get to go to Kirtland, we drive around the little towns all around. If you go to see other churches from the 1820s-1830s, it’s surprising how many churches are around there that are so reminiscent of the Kirtland Temple. You described it as an architectural mishmash. Well everyone was building vernacular stuff out of pattern books and other ways. They wanted to have revivals and everything like that of old architectures, but they aren’t architects. Everybody is building buildings like this even if they’re smaller. But there’s so many different elements that you’ll see all around. They are very aware of what other people are building, and that’s where they’re getting the ideas from. BW, “Absolutely, I think you can walk the lower court of the Kirtland Temple and if you have in your hand an Asher Benjamin book from 1806 or from the 1830s, you can point out all of the patterns from Asher Benjamin, who was like the 19th century Bob Vila, that are right there in the temple. They’re more than happy to take a plan and pattern book. In the same way that they’re more than happy to take the traditional hymns from the Methodist church and change some of the wording around to match the theology of the latter-day saint church. What they do with their architecture, they’re also in many ways what they’re doing with their hymnity, their theology, and they’re very much a part of their context. BW, “That is a tough question. If I must confess, one of the things that I enjoy doing the most, especially when I was the site director there in Kirtland, is in the early hours of the morning, or even sometimes at sunset, to go into the Kirtland Temple all by myself and just sit in the lower court. To open up one of the pew boxes, and go inside and sit down and just breathe in that lower court. To look around and look at the decorate artwork, or decorative woodwork, the arch that goes above the Melchizedek pulpit and the theoches, the travelling decorative artwork that goes around the pulpits, all the intricate detail, and just think about all the people who have been through the temple and who have left their stories there for us. I think about Brigham Young and some of those early carpenters like Jacob Bump and Truman Angel, and the amount of work that they put into constructing the temple. But it also makes me think of William Kelly and E.L. Kelly and the workers of 1880s who worked in many ways just as hard to preserve it. You can’t help but think of what takes place there now–congregations that travel all over the world to hold a worship service there in the lower court, and to sing ‘The Spirit of God.” After 8 years on Kirtland, I am not tired of that hymn in the least. That is one of my favorite hymns. 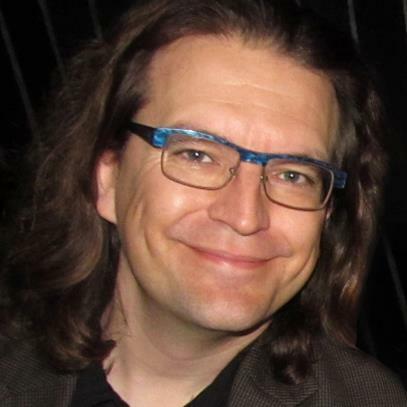 JL, “It’s such a physical connection to the early church where much of it was lost, what they built up in Missouri, much of Nauvoo was destroyed. It’s just a physical sign that is still there. 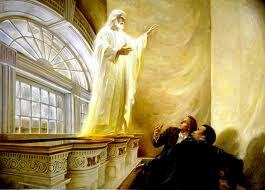 One of my ancestors was Vincent Knight who was one of Joseph Smith’s confidants at that time. There’s a family story, I don’t know if it’s real or not–maybe you can confirm at least one detail of it. During one of the meetings they were having there in the temple when the Kirtland bank was going bad, people would get up and start yelling and screaming, and accusing. According to his daughter’s journal, Vincent picked somebody up and threw him out the window. Is that even possible? Can you throw them out the window of the Kirtland Temple? JH, “Yeah, I would say, like we’ve kind of talked about, early Mormonism was a moving target, and there’s a lot of things in that wonderful theological grab bag of those first 14 years. Different churches, there’s a couple hundred different latter-day saint tradition churches and different ones emphasize different parts of that tradition and they pull different things out, so I wouldn’t even say–nobody can do it all, and different people emphasize different things. In the same way that there’s multiple things going on in early Mormonism, there were multiple ideas of temple worship at different times in early Mormonism. 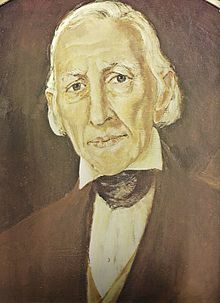 So for Community of Christ, probably because of the possession of Kirtland Temple, the stewardship of Kirtland Temple, having general conferences in the Kirtland Temple, there’s always been that connection with the Kirtland form of temple worship. When the revelation came in the 1970’s and 80’s to build–well there were preparatory revelations in the revelations in the 80’s to build the temple in Independence finally, to finally build the temple in Jackson Country–the theological idea of it was to look more towards the Kirtland example. So from that early revelation that’s in both D&C’s (the LDS D&C as well), the temple is going to be a house of worship, a house of learning, a house of order. In the same way the temple in Independence is viewed in those ways where it’s a place where there are very special worship services where the whole community can gather together, build community, commune with the creator, and then it’s also a house of learning. So the archives, the library, and temple schools, and other kinds of seminars and conferences, training conferences are all held in the temple in Independence. 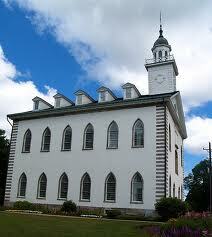 Also, just like in Kirtland, the Kirtland Temple is their headquarters of the church. The Independence Temple is the headquarters of the Community of Christ. This is where we take this house of order where the leadership meets, where special conferences are held again. So what I’d say for all those things, the Independence Temple builds upon that part of the early latter-day saint model of temple worship. BW, “I think the temple today is just as John described about the Independence Temple. We reach back into our past and try to have the Kirtland Temple be that center of community life, and a house of worship, a house of learning, a house of prayer. Some of the events that have taken place there as a house of learning: we’ve hosted the Mormon History Association in 2003, and the John Whitmer History Association in 2007 which was a great gathering of history enthusiasts. But also in 2007 they hosted the Communal Studies Association, which is a group of scholars that enjoy studying 19th century Utopian experiments as well as 20 and 21st century experiments. To be in the lower court, and John Hamer was there, to be in the lower court where over 200 people were packed inside, about 40 of those were a group of the Church of Jesus Christ of Latter-day Saints who were on a tour from Vermont all the way through Ohio with Karl Anderson. To have this group of 200, along with this group of small group of LDS members singing in a hymn festival where they sang Shaker hymns, and Harmonist hymns and we ended the hymn festival with ‘Redeemer of Israel’, and ‘The Spirit of God’, just incredible experiences in worship, as well as a celebration of history. 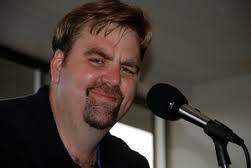 JL, “Last time you were on, I had several people send me emails that had actually gone to services. You’re doing the Lord’s work I guess. [chuckles] I have to ask one last thing or all my ex-mormon friends will poke me in the ribs. So there is almost an ex-mormon mythos during that second Mormon Pentecost when there was that blessing of the temple and a lot of people described that same rushing of wind like you hear it described in Acts. People describe that they saw angels and all that. ← Will Huntsman split the Mormon vote with Romney? Wow. Thanks so much for doing this. Much appreciated. Be sure and check out the two books mentioned in the interview: House of the Lord: The Story of the Kirtland Temple and Community of Christ: an Illustrated History. Wow, thanks for transcribing that! That’s a lot of work to do! It was a really fun interview. I love Barb Walden and John Larsen — I could talk to them all day long about church history — but then think of the work it would take to transcribe! John, I don’t think this will be the last interview of yours that I at least partially transcribe. You did a good one with John Dehlin about the succession crisis, and mentioned Deuteronomy as a ‘pious fraud’ that I plan to do sometime as well. Cool! I liked that conversation a lot too — always love talking to John D! Just getting back to reading this after recovering from eye surgery. I think you’ve just inspired my next Wheat and Tares post. Thanks for the effort.